As long as Brendan Taylor and Sikandar Raza did well, Zimbabwe did well; when they didn’t, things didn’t always go to plan for Graeme Cremer’s side. Zimbabwe's fate at the ICC Cricket World Cup Qualifier 2018 was similar to that of Scotland, whom they tied against in the last game of the group stage. Zimbabwe got into the Super Sixes with three points, and made it five when they got past Ireland in the first game of the second stage. After that, though, it all went south, with losses against Windies and the United Arab Emirates. 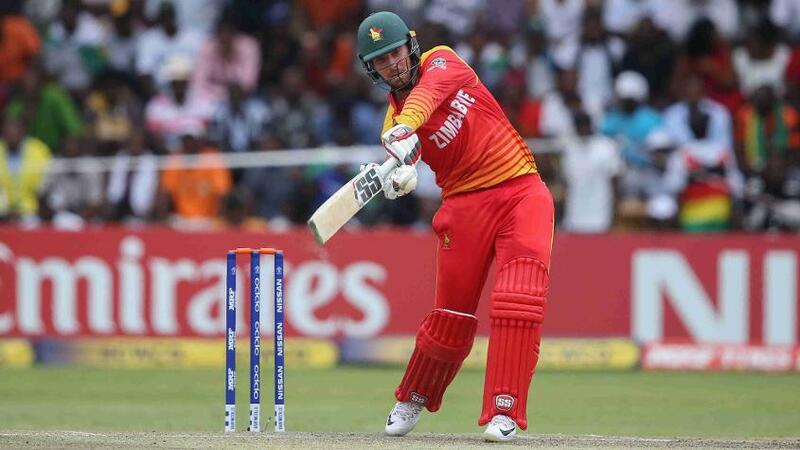 The experience of Brendan Taylor and Sikandar Raza did wonders for Zimbabwe, with the batsmen finishing the tournament with 457 and 319 runs respectively. The two held Zimbabwe together in almost every match, and when they didn’t, Hamilton Masakadza (Hong Kong) and Craig Ervine (Ireland) took charge. Apart from being among the runs, Raza also shone with the ball – finishing with 15 wickets. In fact, he had three-wicket hauls in each of Zimbabwe’s first three games. Graeme Cremer, their captain, also chipped in with regular wickets, finishing with 11. There were heartening performances from Blessing Muzarabani and Tendai Chisoro as well, while the recalled Cephas Zhuwao did what was expected of him at the start, to score quick runs. Their performances helped Zimbabwe keep their run on track for the best part of the tournament, and while it worked, it worked really well. When Taylor and Raza haven’t performed, Zimbabwe have looked a lesser team than otherwise. Losing Brian Vitori, who was suspended for a suspect bowling action, also didn’t help their cause. In the loss against Windies, Zimbabwe looked on course for a 300-plus score, but once Taylor fell for 138, there was a collapse and no blitz at the end. The bowling unit also came unstuck after picking up the big wicket of Chris Gayle early on. Between them, Evin Lewis, Shai Hope and Marlon Samuels scored 226 runs in 252 balls and took the game away. Against UAE, losing their openers early while chasing cost them. It was also the first time in the tournament that they were chasing, and it didn’t work out in the end. Zimbabwe were stopped three runs short of the revised target. While Raza and Taylor were the stars, there were promising signs from Tendai Chisoro and the 21-year-old Blessing Muzarabani, who finished as the third highest-wicket taker for his side with eight wickets. His best performance came against Afghanistan, where he returned career-best figures of 4/47. He also gave Zimbabwe a chance against Windies, sending back Gayle for 17, before the game went away from his team. “He is just an awesome guy, he is still raw and the way he bowled was just magnificent. What I like about him is that he listens to what he is told and is always willing to learn. He is a big asset and with his height he is a good addition to the team. He certainly has got a bright future ahead of him,” said Cremer of the tall and strapping young man.